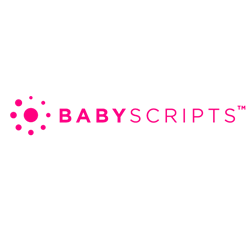 Aligned with their investment, Inova will deploy the Babyscripts’ solution first to their employee health plan through Innovation Health, and then to their entire system. Inova will use Babyscripts to engage women continually through their pregnancy and postpartum with digital tools, which will also reduce risk across the population. Four of Inova’s five hospitals have received five-star rankings from the Centers for Medicare and Medicaid Services; they are the only hospitals in the Washington, DC region to have earned the highest rating from the federal agency. To achieve its mission of providing world-class healthcare to a diverse community, Inova is home to prominent clinicians and scientists, who drive innovation to improve patient care, prevent disease and promote wellness. More information and statistics about Inova can be found at https://www.inova.org.